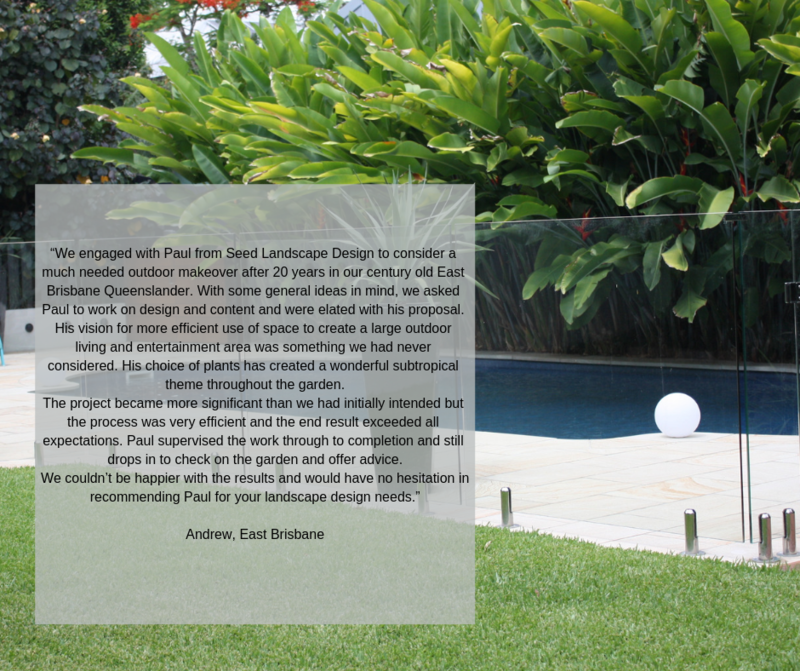 Landscape design for a beautiful Queenslander with a modern extension on a sloping block in Bulimba. 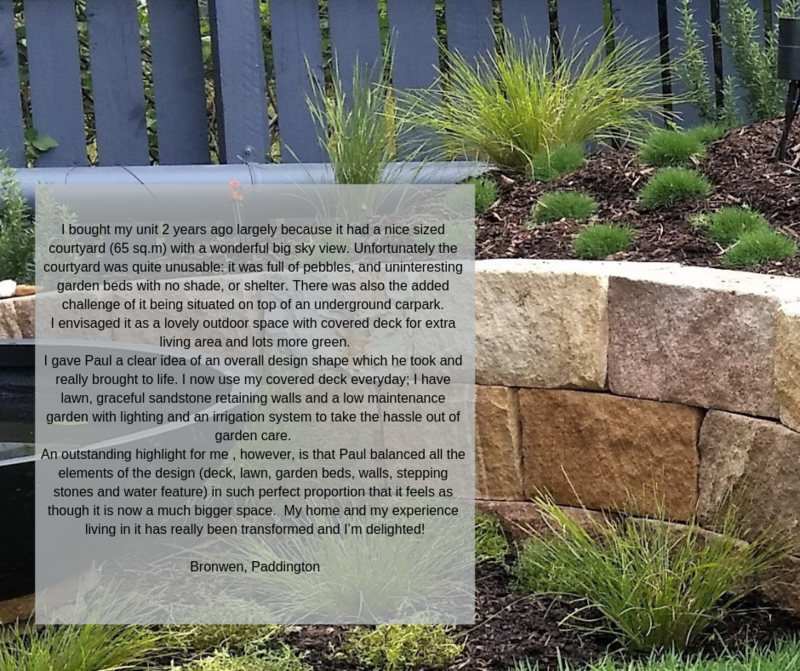 The rear terracing of this sloping block meant the residents could maintain the usable space at rear for play and entertaining. 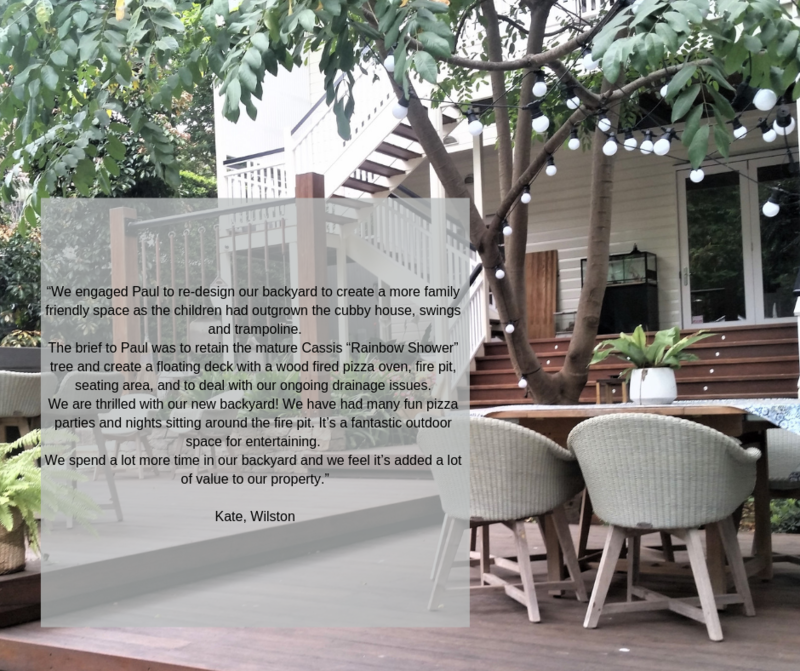 City views from the elevated position of the very rear of the property created an opportunity for a seated casual entertaining zone. 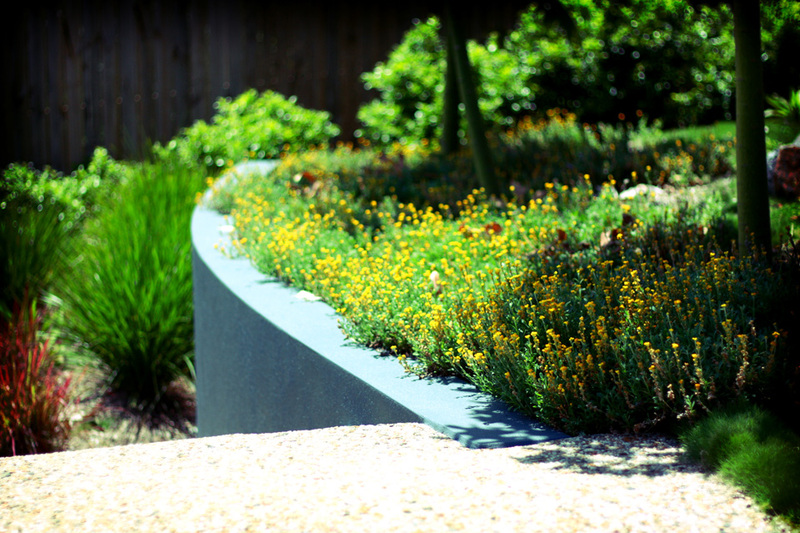 We also terraced the deep frontage of the property to add texture and allow for a layered planting hierarchy - providing great street appeal. 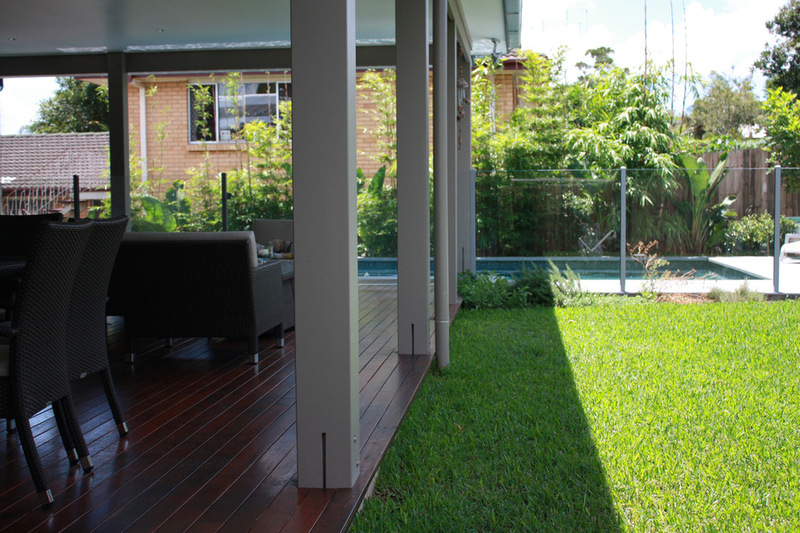 Retaining near the front boundary maximises the openness at the front of the building. 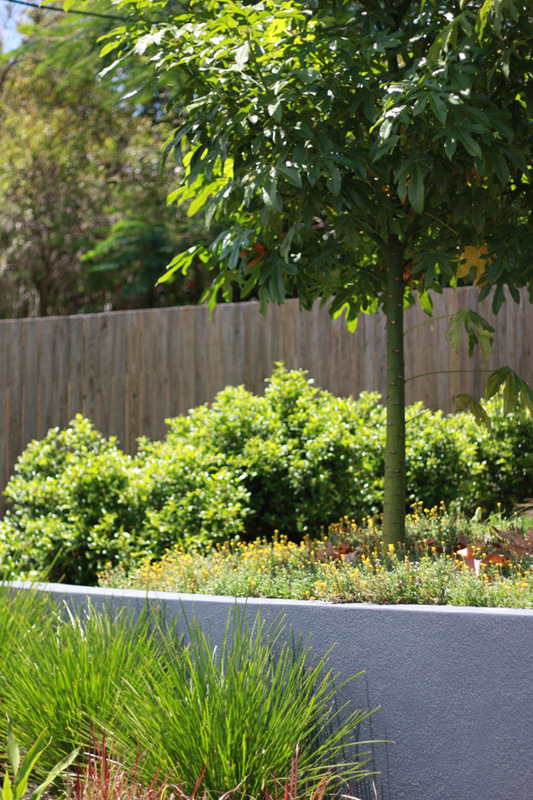 This allows tree planting to be far enough away from the building without crowding, and give the decked veranda space to view the garden. 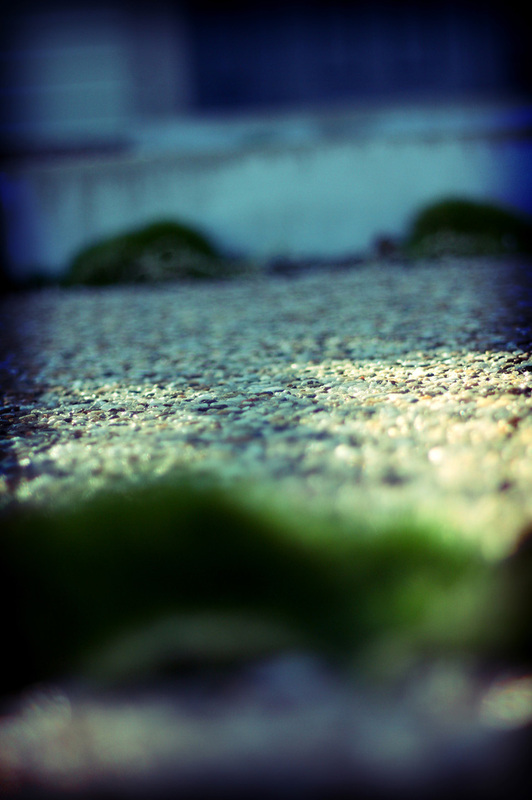 Creating a separate entry increased the legibility to the building. 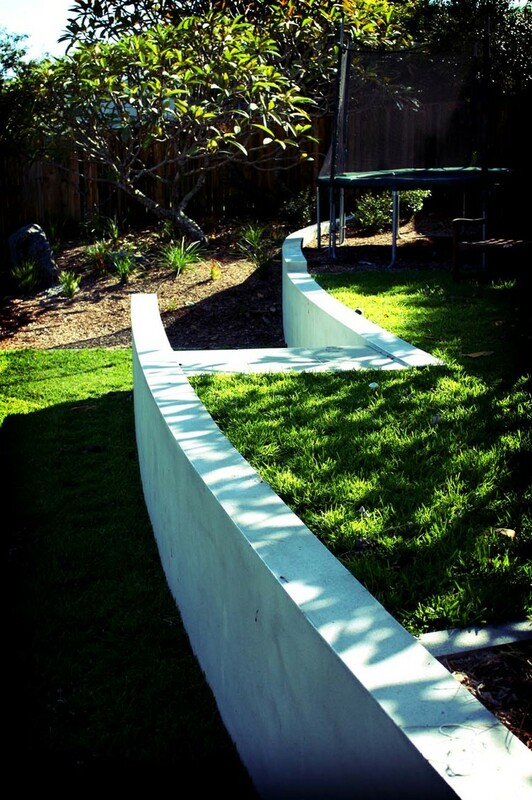 We designed curved walls to create a dynamic element and contrast with the squares of the building. The feature wall continues through the stair to house, the mailbox, street identification and lighting. 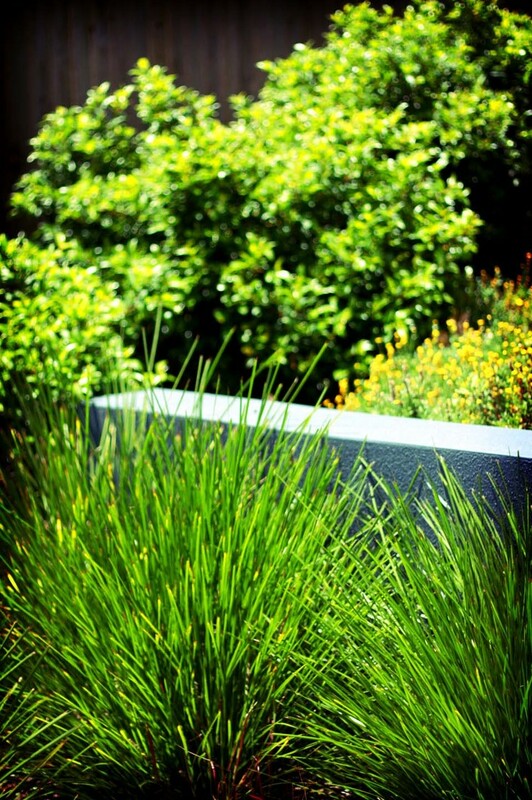 We applied plantings of Strip zoyzia grass at the step treads to break the expanse of the concrete path. 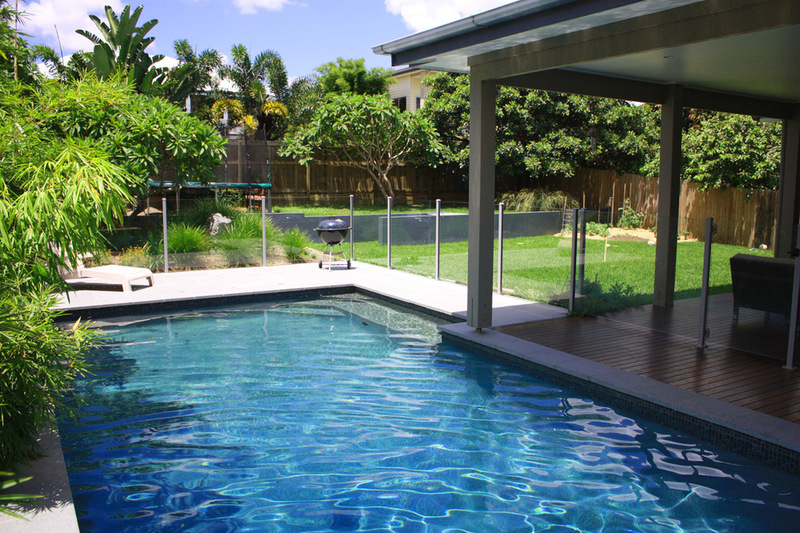 Screening was an important feature of the landscape design for this property and was applied to building windows and the pool area. 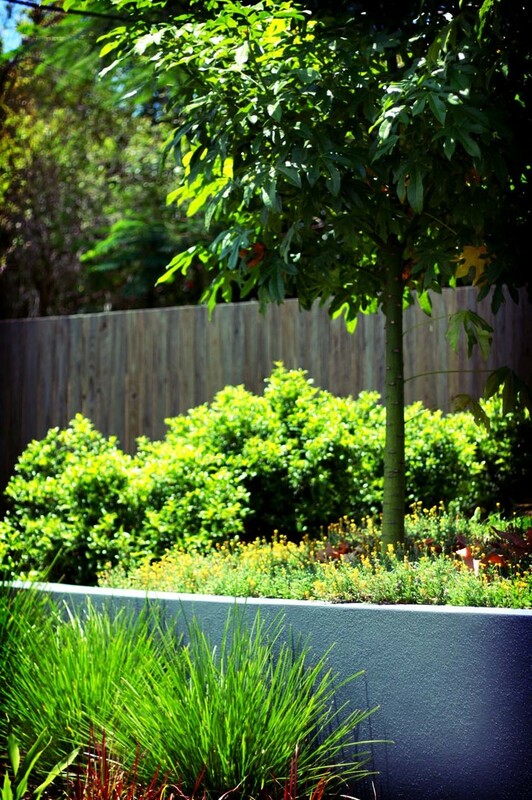 Selected tree positioning to both upstairs and downstairs windows provides privacy from neighbours. 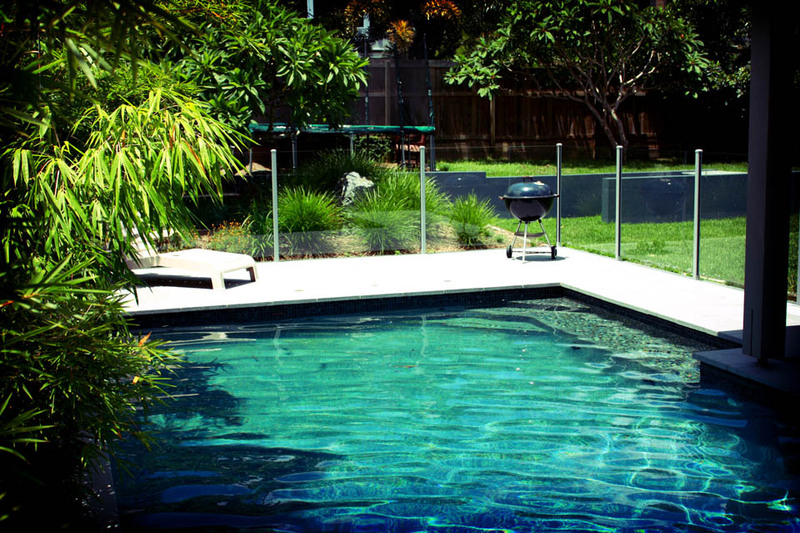 With limited planting space next to the pool, bamboo vegetated screening gives height with a narrow base. 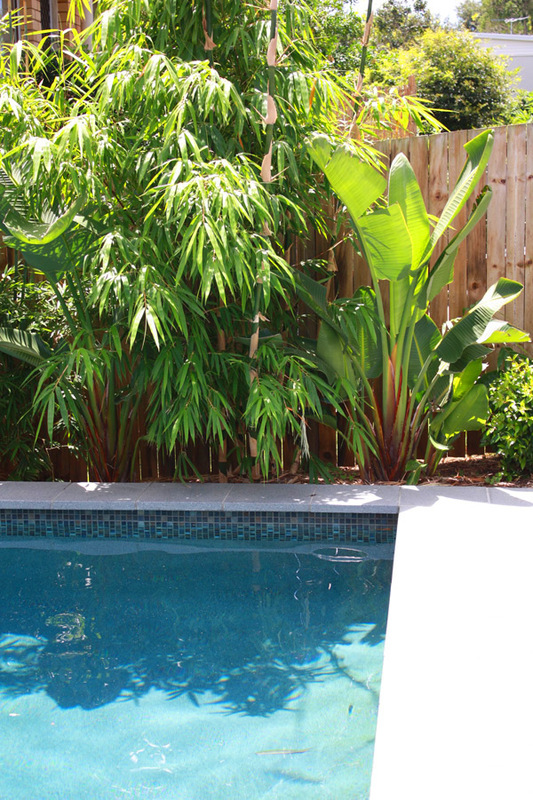 Although bamboo drops leaves, the size allows easy collection, and does not clog or damage the pool filter system. 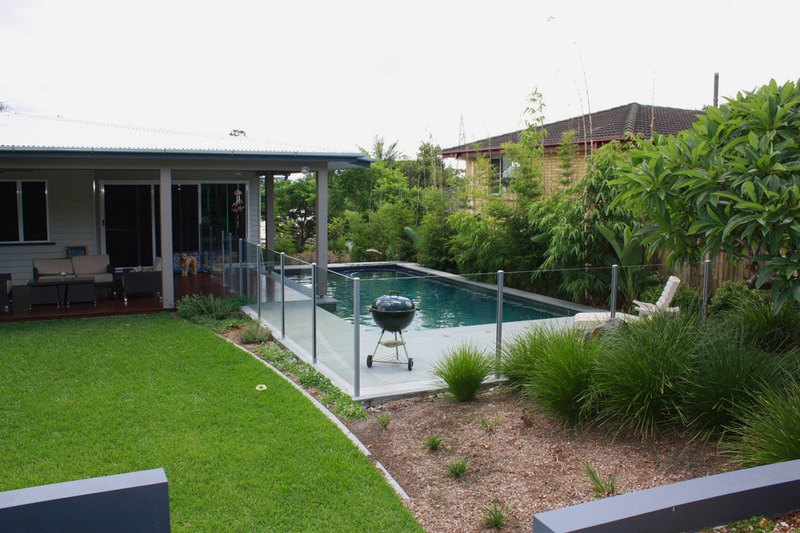 Subtropical planting works well with this style of building - a traditional Queenslander at the front, and architecturally modern at the rear. 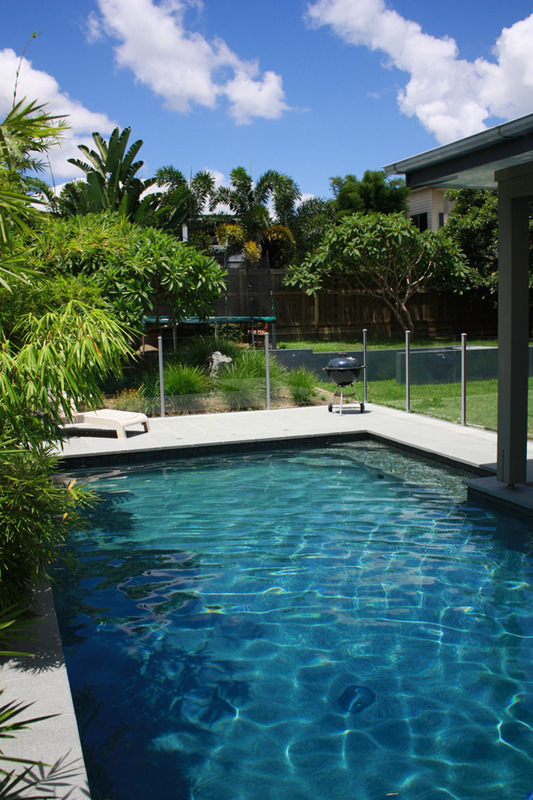 Retaining an existing frangipani, and installing flame trees and Poinciana trees intensifies the quintessentially Brisbane flavour of the design. Tall thin trees (flame trees) planted to the sides of the property at the front provide scale for the two-storey building.